It sure doesn’t look like the top fighters in the UFC middleweight division are buying Yoel Romero’s tainted supplement defense. Romero, who failed an out-of-competition USADA test following his UFC 194 victory over Ronaldo Souza, had a suspension which could have run as long as two years cut all the way down to six months by an arbitrator. Current champion Michael Bisping, for one, claimed Romero was “suspended for steroids” as part of a rant against all the top contenders at UFC 204. And now former champion Chris Weidman is chiming in as well. 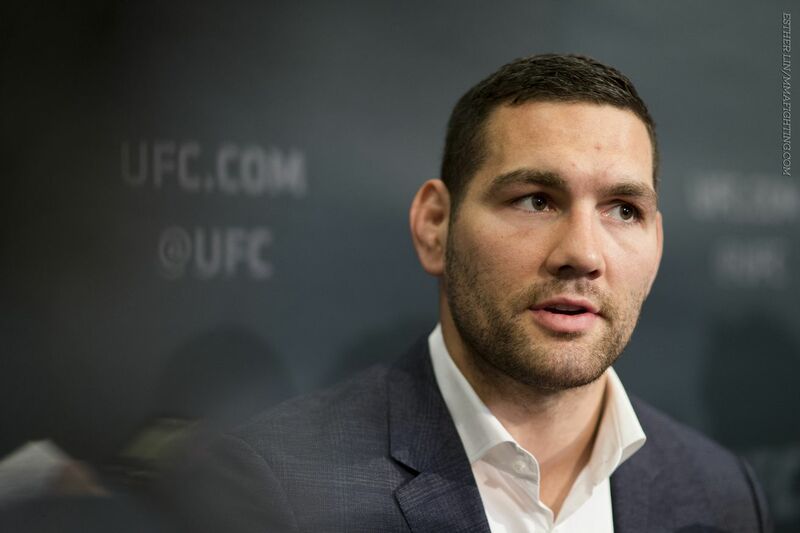 Weidman, who meets Yoel Romero at UFC 205 at Madison Square Garden in a bout which could determine the next challenger to Bisping, is highly skeptical of the “tainted supplement defense” after test failures. So with that in mind, Weidman doesn’t mind admitting that he considers his matchup with Romero to be a little more personal than most fights. Shots After The Bell: UFC 208 reminds us that rules are pointless and judges are terrible.